András Schiffer, leader of Politics Can Be Different (LMP), a small green party, which just barely passed the 5% hurdle needed for representation in Parliament during national elections in April, berated the more prominent left-centre opposition parties and added that a decent opposition result in Sunday’s municipal vote was critical, if Prime Minister Viktor Orbán is to be ousted from office in 2018. “Sunday’s local elections will decide not only the leadership of each locality, but also the kind of opposition Prime Minister Viktor Orbán will face over the next four years,” observed Mr. Schiffer. “The fake left has left its voters in the lurch,” Mr. Schiffer added, suggesting that the Socialists, Ferenc Gyurcsány’s Democratic Coalition (DK) and the Együtt-PM alliance were unfit to remove the country’s authoritarian prime minister, as they were the ones–through their political incompetence–who ultimately helped him attain a second two-thirds majority. 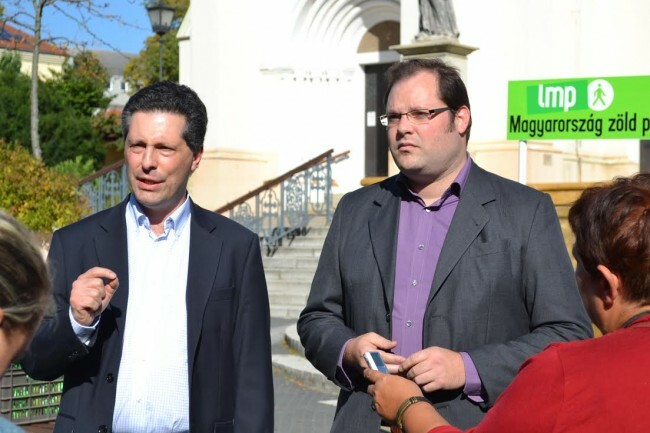 Speaking in the western Hungarian town of Kaposvár, Mr. Schiffer added that only LMP offers voters this coming Sunday a real left-wing alternative to the government. Hungarians vote Sunday, October 12th, in municipal elections across the country. For the first time since the fall of communism in 1989, mayors and councillors are being elected for five year terms, rather than for just four years. A total of 8,142 candidates are running for mayor in Hungarians cities, towns and villages. Fidesz-KDNP is widely expected by pollsters to not only win Budapest’s mayoral race, but also a majority of districts in the capital and the bulk of rural towns. Many of the candidates in villages are not affiliated with any party. The pro-regime Nézőpont Intézet polling firm (which has published far more polls than any other firm in the lead-up to the vote), predicts that István Tarlós, the Fidesz-KDNP candidate for lord mayor in Budapest, will win 52% of the vote, in contrast to just 25% for Lajos Bokros, the joint candiate for Együtt-PM, DK and the Budapest wing of MSZP. Nézőpont also predicts that Fidesz-KDNP will win in 14 Budapest districts, in contrast to left-wing opposition victories in 8 boroughs. The view of Dr.Schiffer is quite realistic. 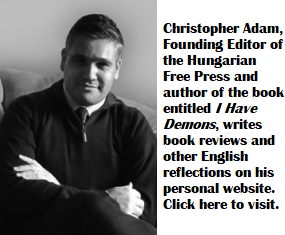 The emergence of a creditable opposition party free of any communist poison traces and acting as a realistic alternative in the coming decades would be of vital importance in Hungary. I am convinced that the appearance of such a respectable political party is only the question of time, but I am not convinced at all that Dr. Schiffer’s party would be that. They do not have roots in the society and, despite the sincere efforts of Dr. Schiffer they are not completely free of communist contamination. There is more communist poison within the ranks of Fidesz than probably any other opposition Party today. Physician heal thyself – Mr Fodor, wake up and smell the roses. No one has written the guidebook on how a democratic party is supposed to contend with an amoral, undemocratic and ruthless rogue party like Orban’s Fidesz, whether in government or in opposition. They don’t play by the rules; they make up the rules; they run roughshod over rights, and what’s right. I think it is neither useful nor fair to vent our anger and frustration at Fidesz’s unscrupulousness on the hapless democratic opposition (whether in government or in opposition). They are not as gormless as they seem, or are made out to be. It’s just that it is not at all clear whether there is any principled way to contend with an undemocratic and unprincipled entity like Fidesz — and (fortunately) they are not (yet) minded to beat them by joining them, and taking up their ways.